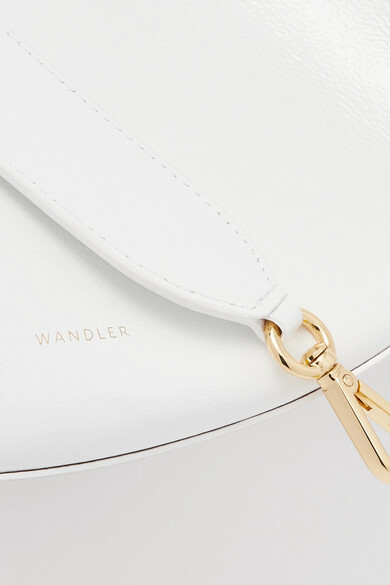 Elza Wandler has always preferred designing accessories over anything else, describing them as little sculptures she can freely manipulate. 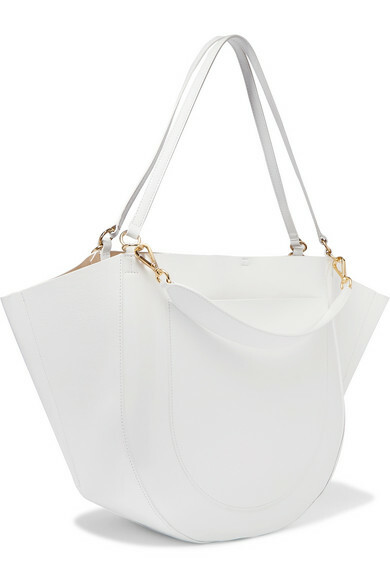 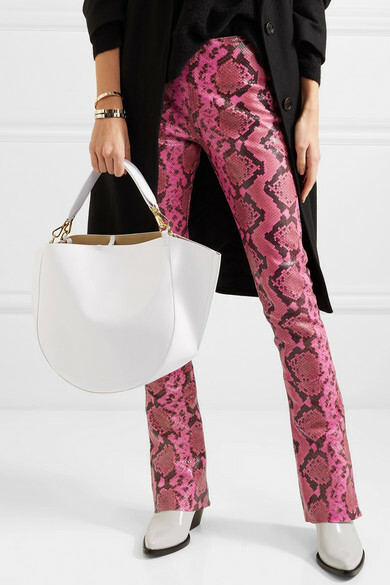 This white 'Mia' bag has been made in Italy from glossed textured-leather and cut in a crescent shape with trapeze sides that offer lots of space inside. 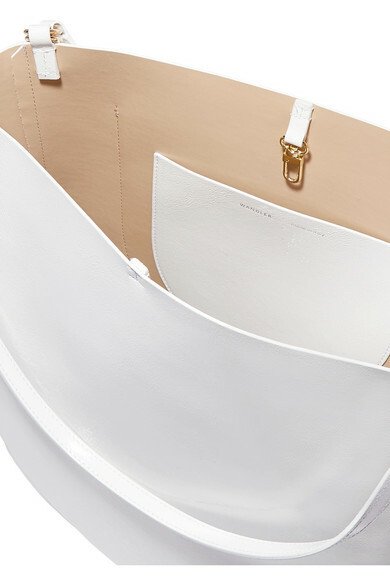 The top handles and shoulder strap are interchangeable and the interior is fitted with a slit pocket for your cell phone. 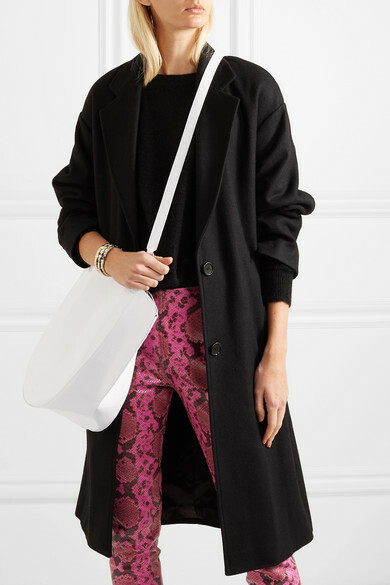 Shown here with: Isabel Marant Étoile Coat, By Malene Birger Sweater, Marques' Almeida Pants, Roxanne Assoulin Bracelets.